If we examine, for example, the disciplines of Marketing, Sales, Operations, and the like, we would find they all have well-defined competencies, proven theories, and applied sciences that under-gird their application. These theories and sciences provide a recognized structure, strategy and a set of measurable standards to guide those who work in the field. To be taken seriously as a discipline and field of study Diversity, too, must possess a structure, framework and critical components that are consistent with other serious disciplines. 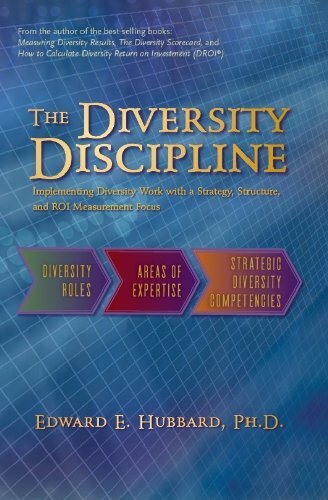 This book highlights a proven framework in use by the Hubbard Diversity Measurement and Productivity (HDM&P) and Diversity ROI Institutes. Its intent is to offer a resource, guidance and potential standards of excellence to individuals and organizations who share a vision of diversity as a credible, professional discipline and field of study. The Hubbard Diversity Discipline Framework™ offers additional insight and tools to use along this journey.